dopl3r.com - Memes - BADMON @joeyBADASS If yall havent noticed theres a government / police agenda against rappers right now. Were all being targeted so be safe out there yall! 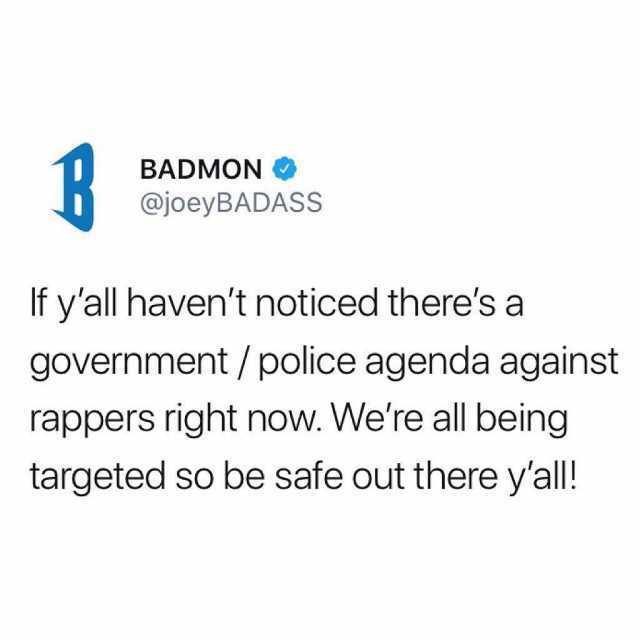 BADMON @joeyBADASS If yall havent noticed theres a government / police agenda against rappers right now. Were all being targeted so be safe out there yall!